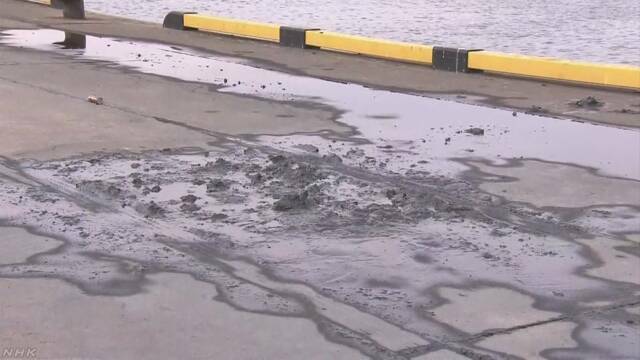 OKAYAMA (TR) – Okayama Prefectural Police are investigating what is believed to have been a murder-suicide after the bodies of a missing woman and her two children were found inside a vehicle pulled from a bay in Okayama City on Sunday, reports Nippon News Network (Feb. 10). At around 10:30 a.m., police searching for the family found the vehicle at a depth of 15 meters at New Okayama Port. Officers later confirmed the vehicle contained the bodies of the woman, a 31-year-old resident of Okayama City, her 9-year-old son and 4-month-old daughter. The woman’s husband consulted with police after his wife and children after they did not return home at 9:30 p.m. the day before. According to police, the bodies did not exhibit signs of external wounds. With evidence found at the scene showing that the woman did not apply vehicle’s brakes, it is believed that she intentionally took her life and those of her children by driving off a pier into the water.